For over 35 years, QPrint has been providing quality printing services to many satisfied clients in the Greater Toronto Area. 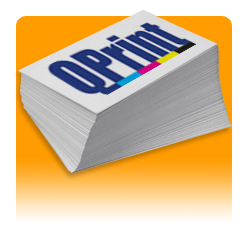 With in-house digital & offset printing capabilities, and a wide variety of bindery & finishing options, QPrint offers great value and personalized service. Contact us today. 20″ X 30″ full colour poster printed on photo gloss paper for only $29.95! 1000 full colour double sided business cards printed on 14pt coated cardstock only $99!